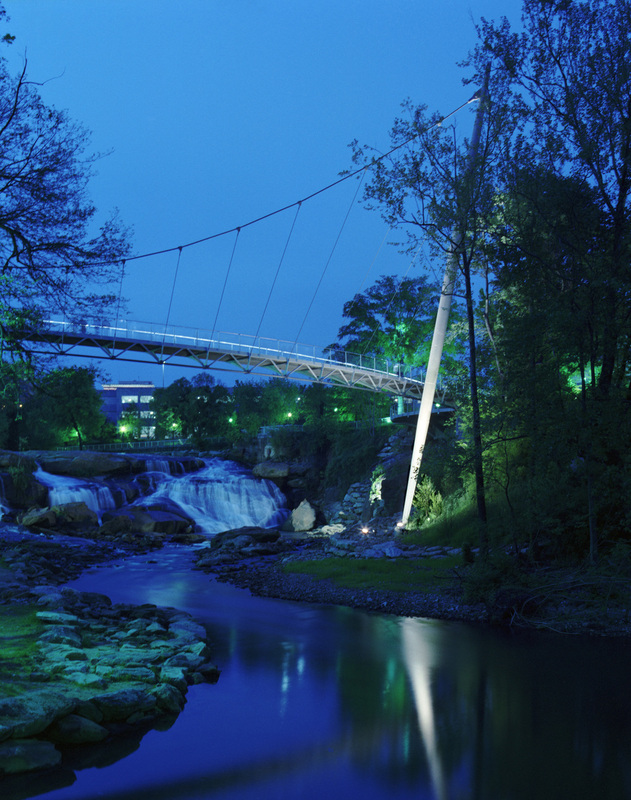 Jorg Schlaich designed this graceful curving pedestrian bridge to reconnect this urban area, divided by a waterway and pedestrian park. The bridge structure, with its towering masts complimented by the elegantly suspended walking deck, is interpreted as a symbol for the oppositional relationship between city and park. The horizon of the walking path and built vertical structures erect above the horizon were used as guiding forces for the lighting design. 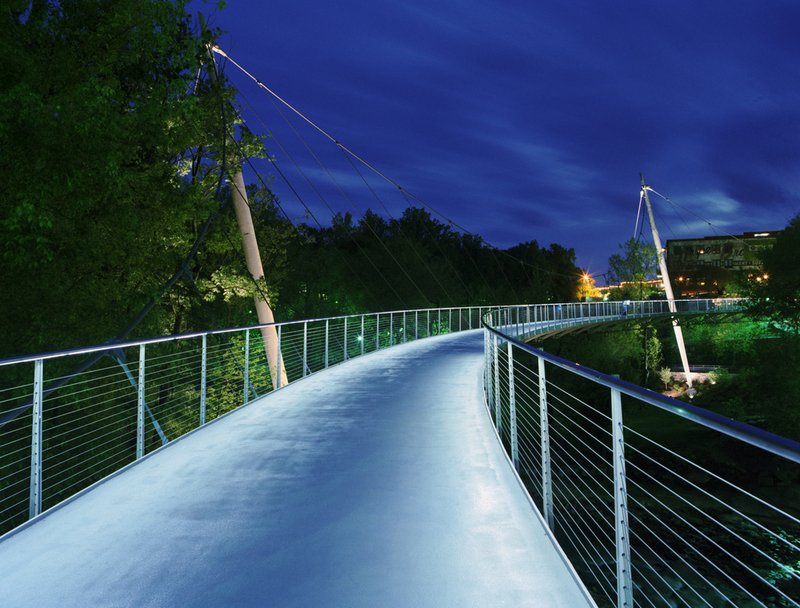 Cool white custom LED luminaires are integrated to the handrails to illuminate the bridge deck and reinforce visual connection to the coolness of the night sky. As pedestrians move across the bridge they are consumed by electric luminosity that merges with the natural nightscape. This sensorial merger with nature is further reinforced by audible, haptic and ofactory experiences to wind, water, trees and wildlife. The suggestive nature of this cool horizontal plane is contrasted by the warmly illuminated columnar masts that find kinship to the constructed sodium vapor city beyond.